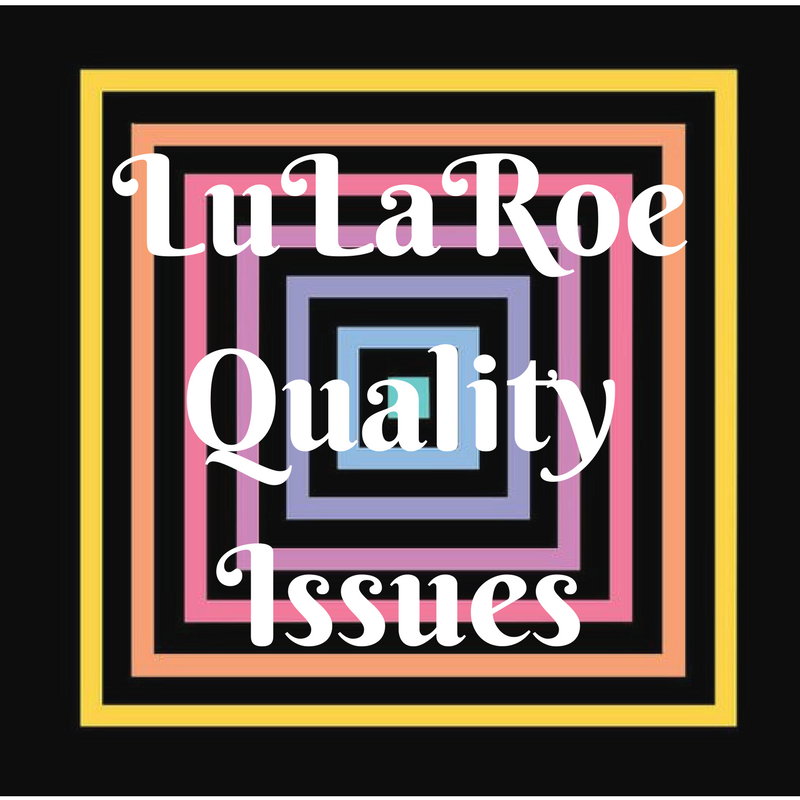 It seems like you can’t go anywhere without seeing or hearing about LuLaRoe, the company with the “buttery soft leggings” and cute tops, dresses, and skirts. They have achieved a cult following, with people obsessively hunting down a desired print, often referred to as a “unicorn.” I have discussed before how I don’t think this company is great for the consultants (the people selling the product), but I haven’t spent much time on the products. I think that some of the items are cute, but for the price you’re paying, the quality is absolutely terrible and not worth the cost. I’ll be honest, when I first went to my first LuLaRoe party, I got hooked. I found a couple of cute dresses that looked good and were easy to buy. I was excited to know my sizes in the various styles so that I could also do some shopping online. My delight didn’t last long. One of the dresses I was looking for was the Amelia dress (the dress with the pockets – every woman’s dream) in a simple color so I could wear it to work. I found a consultant who had it in black and immediately ordered. It was everything I wanted. I washed the dress per the LuLaRoe instructions (inside out, on the gentle cycle, and I even put it in a sweater bag for extra protection). I hung it to dry, as I do with most of my clothing. And the dress shrank. It drew up a full four inches. And this wouldn’t be a huge issue as I’m a short girl and it’s a longer dress on me, but because of the way the bodice pulled up, it no longer fit well. I paid $65 for this dress. It was a complete waste of money. And there’s nothing I can do about it. I complained and was told that I washed it wrong, was scolded for putting it in the dryer, which I did not do, but of course, can’t prove it. I also noticed that two shirts I bought in the same size and style were not actually the same size. One is significantly larger than the other. Of course, I don’t know which one is more “accurately” sized, so I can no longer trust which size to buy in that item. So after this happened, I started paying closer attention to LuLaRoe quality issues. And I found tons of complaints. 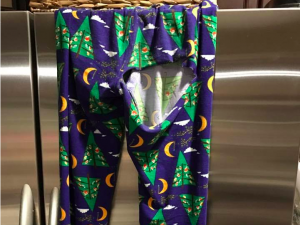 LuLaRoe leggings cost $25. They’re not cheap. And unfortunately, their quality isn’t great either. I don’t know about you, but if I’m putting something on my body to cover parts I don’t want exposed, the last thing I want is to risk it tearing and exposing me in public. So for $25, you want me to buy an item that you’re well aware may tear? Yes, I have bought delicate fabrics before, but they were never the sole item covering a part of my body. And remember, LuLaRoe also sells kids sizes. We know how hard kids are on their clothing. And you’re selling something that people claim tear “as easily as wet toilet paper?” No thank you. One thing I did notice very early on about the quality of LuLaRoe items is that there is no attempt to make patterns match up. This may not be a huge issue, but it can lead to some very unfortunate looks, and in my opinion, it’s the worst when it comes to stripes. If you’re wearing a striped dress, the stripes on the front should match the stripes on the back. And if the stripes are vertical or horizontal, they should be perfectly on that axis and not crooked. 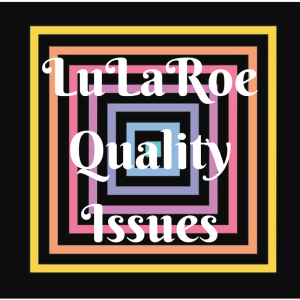 LuLaRoe’s quality inspectors don’t seem to care about this. I think it’s very possible that at one point, LuLaRoe did have a great product. But I think they grew too fast and decided to prioritize speed and cost over quality. After all, if they just lower the cost to produce the items, they can make more money without having to raise the price to their customers. The customers won’t realize that they’re getting much lower quality than they did a year ago. Should you still buy LuLaRoe? Sure, if you want to. But be aware of what you’re spending your money on. Be aware of the risk that the quality may not be what you want. You’re better off if you buy at an in-person party where you can meticulously scrutinize the item before you buy it. Check the seams, make sure nothing is pulling apart. Try on the item, make sure it’s sized as you believe it is. Sure, you won’t know if it will shrink, but at least you’ve done what you can. Or do what I plan to do and enjoy the pieces you have and don’t buy any more. It’s just a waste of money. 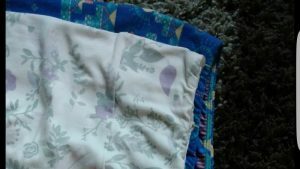 My wife has bought a few things, and she recently looked at some stuff she bought a while back versus in her most recent purchase, and you could definitely tell the difference in terms of lower quality for the more recent items. I think greed has taken over and the market will eventually force them out because of it.